From my experience, and from talking with other EFL teachers, reading classes have always presented a certain challenge. In an ideal world, you would assign students to read an article for homework and then you could engage them in a lively discussion in the subsequent class. You could also focus on vocabulary and discuss various language patterns that appeared in the article. However, counting on all students to read a number of pages for homework is usually not realistic. This often results in a teacher asking students to “read this article“ during the class. The class goes silent, starts reading, and a good chunk of the time for that period is gone. The challenge is always to find other methods to make the reading of the article more interesting and fun for the students. ESL Graffitti is a great way to break up the monotony of the usual “read this article” approach. I found this activity a number of years ago. It is such a great idea that I am surprised I have never found variations of it elsewhere. Good TELF games and activities are normally replicated on numerous websites and are passed along by teachers who are constantly looking for interesting activities. So, I will simply direct you to the website that contains this great idea. However, I will also summarize the activity and add some more information that could make it even more successful for you. I have found that this activity works best with a relatively long reading passage of a few pages or more. Photocopy the article and then cut the photocopied pages up into sections. Depending on the size of the article, the size of your classroom, and the amount of open wall space in the classroom that is at eye level, you may want to cut up the article into about 7 to 10 equal sized chunks. Make sure that each cut out section is a continuous part of the article. In other words, each cut-out section should be able to somewhat stand alone and make sense when read on its own. Next, paste each cut-out section onto a blank piece of 8.5 X 11 paper (or larger if you wish). Now, tape those pages at equal intervals at eye level on the walls of your classroom. You could tape up the articles in sequence so that the order of the article is maintained. Or, you could simply tape the pages up in no order whatsoever. If you choose this option, place a number or letter on each page. You can then introduce a second element into the activity that follows (more on this second element later in this post). When your class files in, they may see you finishing up the preparation for this activity. This will generate some buzz and excitement. Even if you are finished the preparation, most students will notice that something is different. Creating a bit of excitement by doing something out of the ordinary is one of the benefits of keeping your teaching methods varied and interesting. 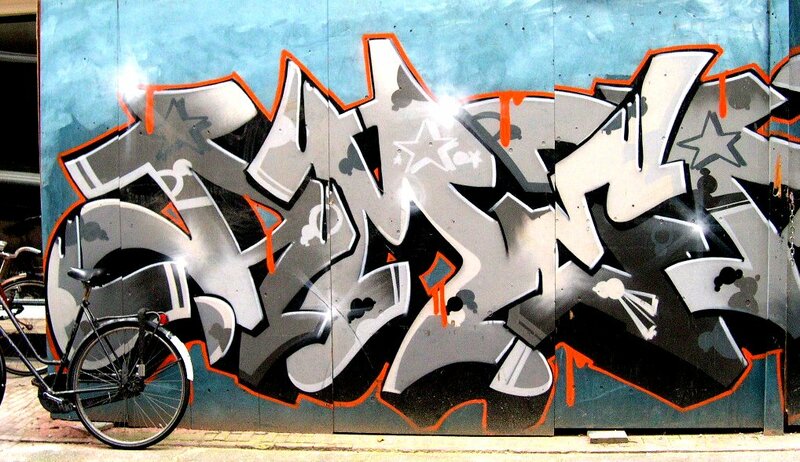 Ask your students if they know what graffiti is. Ask them if they have ever seen writing on the bathroom walls or on the sides of buildings. A discussion like this could take all sorts of interesting turns. After you have talked about graffiti and perhaps introduced some relevant vocabulary, tell your students that they are going to now have the chance to write some graffiti of their own (this, of course, being the only time when it is acceptable). Point out the pages that you have taped to the walls and tell them that you want them to walk around the class and read every section of the article. They are then to write whatever comments they want on the corresponding piece of paper to which each section is pasted. Encourage them not to worry about being grammatically correct or writing in full sentences. The goal is to get the ideas flowing. For example, if they don’t understand a word, they could write, “I don’t understand __________.” Or they could even comment on another student’s comment. If you wish to add a second aspect to the activity, tape the pages to the walls out of sequence. Also, you should write a number or letter on each page. Let the students know that the numbers do not reflect the real order of the pages. Instead, the students should decide in which order the pages taped to the wall should go. Once all students have had a chance to write their graffiti on each of the pages, you can then engage in a class discussion about the article and try to elicit some ideas regarding main idea. You will still likely want to then move on to some more traditional activities such as answering the questions that go along with the article in whichever textbook you are using. And, later when you are back at your desk in the teacher’s room, you will probably get a kick out of some of the comments that students have written on the pages! I have found this to be a really effective activity with good results. Don’t overuse it though. More than once per class per semester would probably be too much.